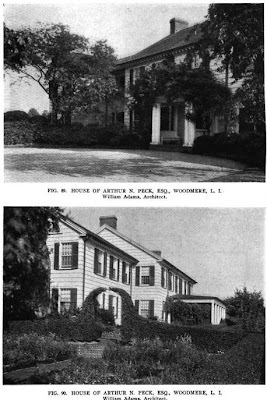 The residence of Arthur N. Peck, designed by William Adams of Adams & Warren c. 1910 in Woodmere. Peck was a stockbroker who headed the firm Peck & Co. and a memeber of the New York Stock Exchange for 25 years. His obituary said the house was on Channel Drive but I have yet to find it. 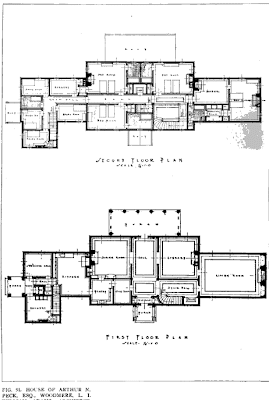 Pictures from the Architectural Record, 1918.
wow - unless that thing was massively modified, i couldn't find it on channel drive either. the only one that has three chimneys doesn't look anything like it.